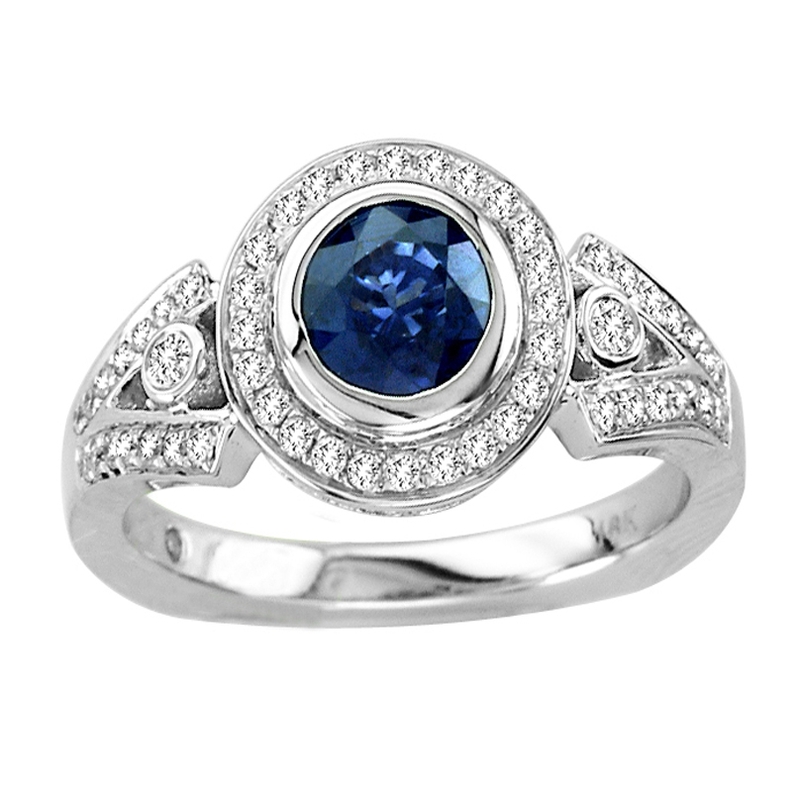 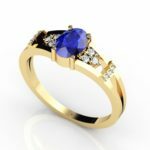 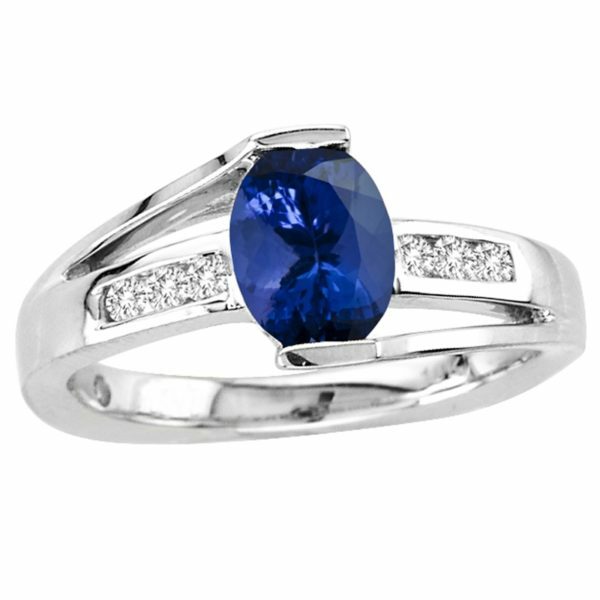 This stylish ring could be the right choice to those who like to remain in vogue. 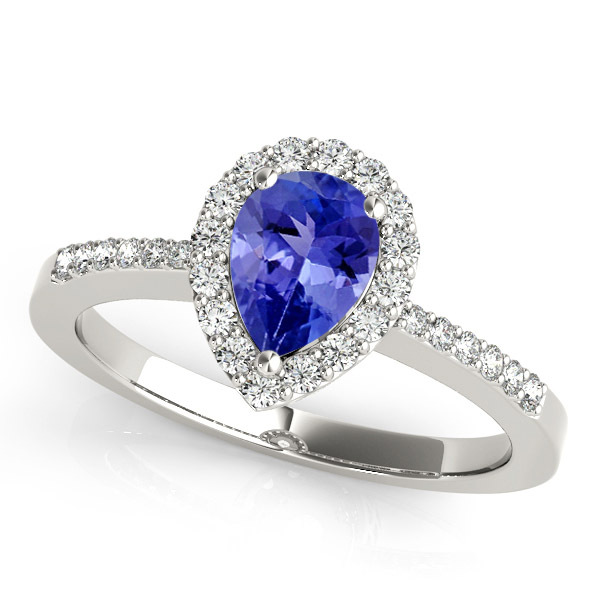 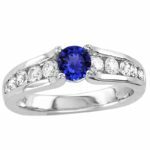 It consists 14k white gold studded with a round tanzanite of almost 0.78 carat looks stunning at its appearance. 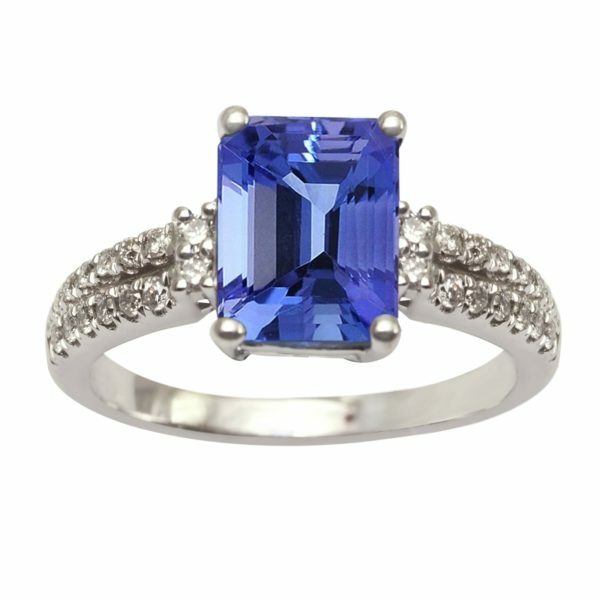 It gives a trendy look which can fit in well with almost every kind of dress, whether formal or informal. 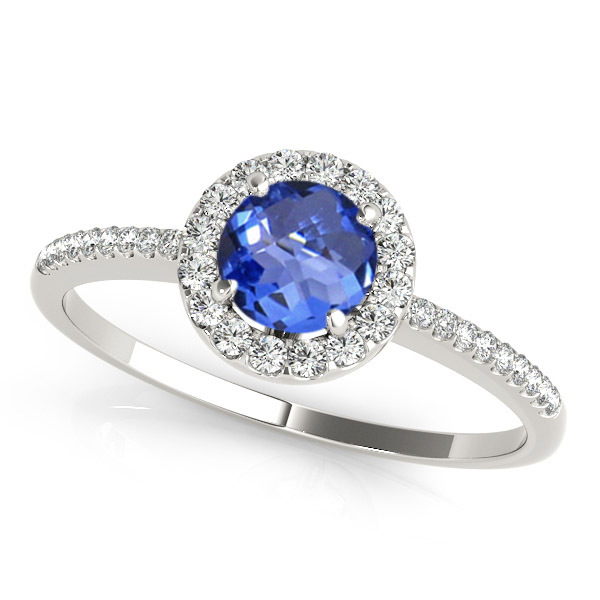 The 54 round diamonds of 0.46 carat make it look glittery.